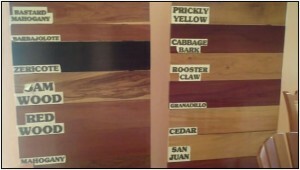 Belize is well known for its diverse, exotic woods, some of which are shown on the display board below. 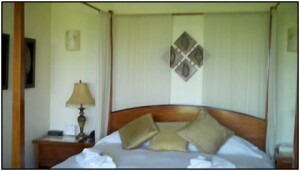 The style of furniture designed and built in Belize varies from simple and elegant, to quite elaborate, heavy and ornate. 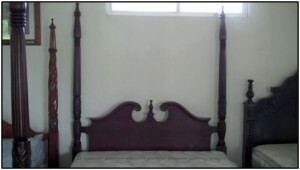 During the years of the British Honduras, mahogany was exported to Europe and was a major industry for Belize. Interestingly, much of the furniture we viewed was what one would expect to see in a traditional European home, vs. on a Caribbean island in Belize. 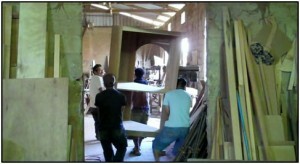 Europeans still visit Belize, design and order furniture here, and have it sent back home. Our goal has been to compare Belizean crafted wood furniture with the rattan/cane (also made in Belize) most often used for condominium developments here in Ambergris Caye. 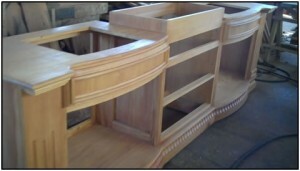 Our emphasis will be to select high quality, simple but elegant furniture that is reasonably priced. 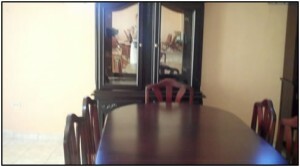 Of course, Grand Baymen owners will have the option to upgrade to nicer wood or rattan/cane furniture. Each day we visited a different furniture shop/s, to compare styles, the type of wood used, quality of workmanship, and to obtain adequate information to price out options. Several of the businesses we visited invited us to tour their woodworking shops. That was a special treat, as each owner explained the unique quality of each local wood, the subtleties of working with each, and then showed us the styles of furniture they were building/crafting.